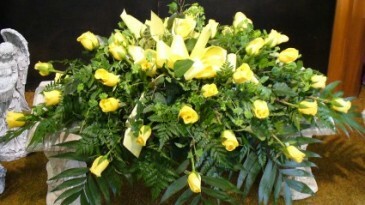 Yellow Roses are graced with assorted greens and touched off with a personalized ribbon. 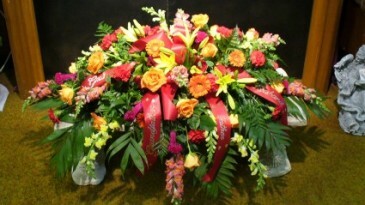 A mix of seasonal flowers in shades of reds, oranges, yellows and touched off with a personalized ribbon. 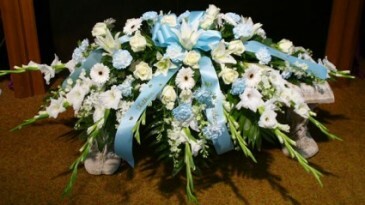 The blue carnations are surrounded with white roses, white gerbera daisies, white lilies,white gladiolas and white larkspur. 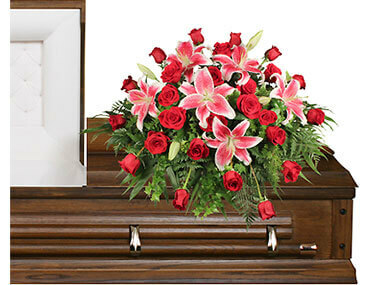 Customize this spray with scripts to show the relationship to the deceased. 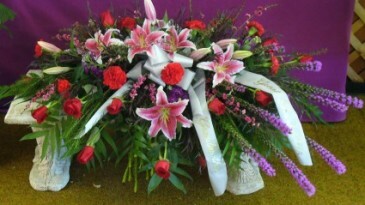 Roses, Carnations, Lilies and Liatris make up this stylish spray. 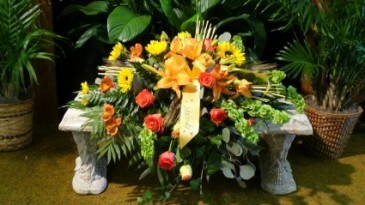 A personalized ribbon can be added at no additional charge. 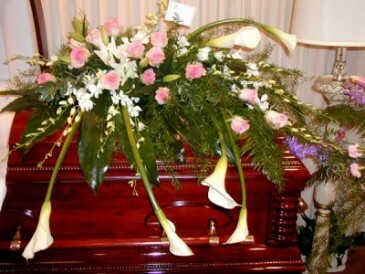 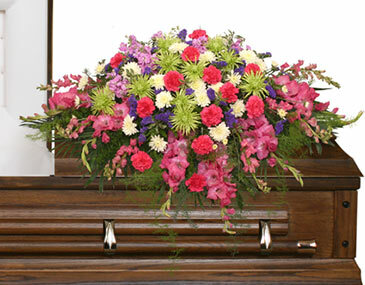 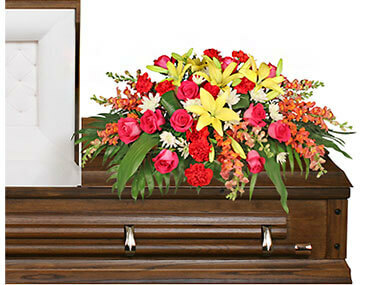 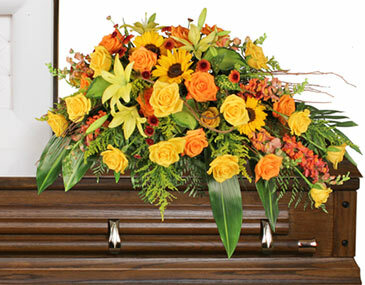 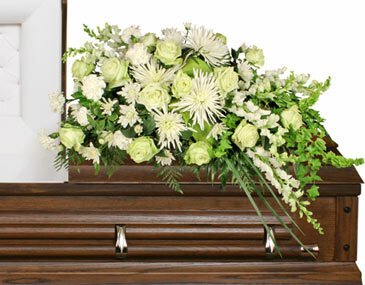 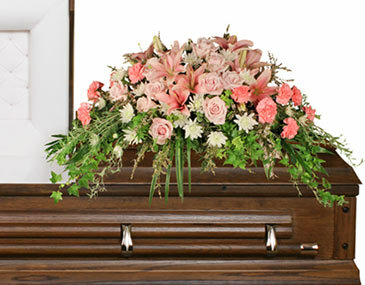 This contemporary style casket spray is graced with roses, calla lilies, stock and various greens. 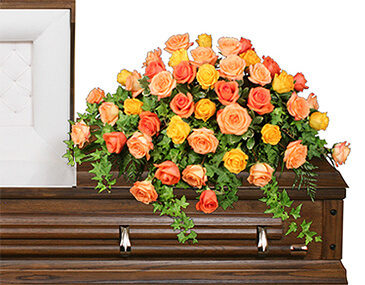 Customize this spray with scripts to show the relationship of the deceased. 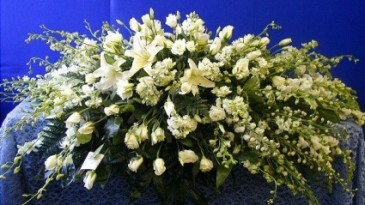 A mix of seasonal white flowers can be touched off with a personalized ribbon. 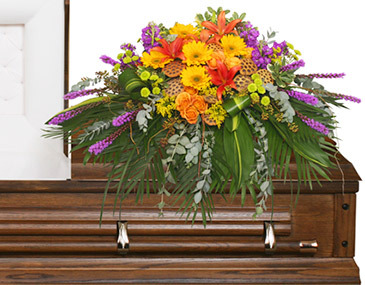 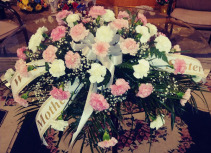 This pastel floral spray can be customized with scripts to express the relationship of the deceased. 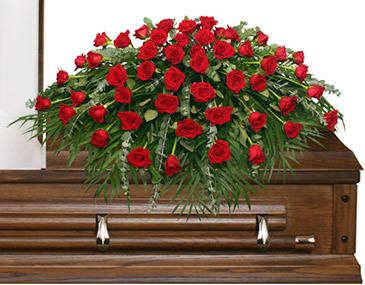 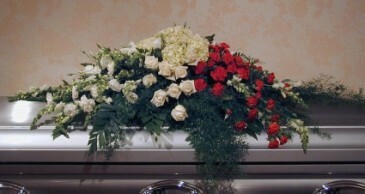 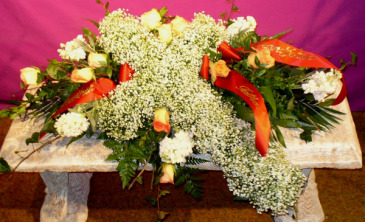 The Majestic Red Roses with a variety of mixed foliages can be customized with scripts to express the relationship of the deceased.